The government hopes to restart half of the nation’s nuclear fleet by the end of 2015 which would cut fossil fuel costs. The Japanese government’s goal is to restart half of the 48 remaining reactors by the end of 2015. It appears to offer as sacrifices to the anti-nuclear fervor following Fukushima any unit that is older than 40 years and will be too expensive to upgrade to current safety requirements. At least seven units fit that profile. 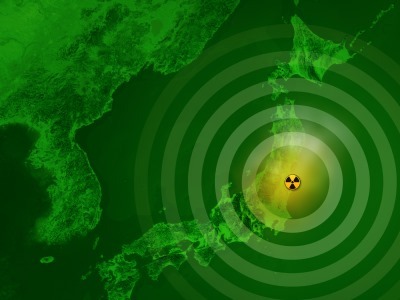 However, 26 of the 48 units are being reviewed for restart by Japan’s Nuclear Regulatory Authority (NRA). In Texas there is a saying in football, “go big or go home.” The Tokyo Electric Power Co. (TEPCO) appears to have adopted that mantra, if not consciously, in its plans to restart two of the seven nuclear reactors at Kashiwazaki Kariwa. The power station is the largest of its kind in the world. To do so TEPCO went to the University of Texas where former US NRC Chairman Dale Klein is now at the Department of Mechanical Engineering. In a first of a kind move, TEPCO went outside the corporate and government networks that have worked so well for it over many decades and established an outside advisory committee with Klein as the head of it. Of the seven reactors located at Kashiwazaki Kariwa, Units 6 & 7, which are 1315 MW ABWRs, are also the most recently commissioned of the group. Completed in November 1996 and July 1997, they have more modern safety features in place, will have the least cost to meet new requirements, and therefore have the faster path to restart. The other five units are BWRs and were commissioned between 1984 and 1989. In a recent interview with Klein conducted by Businessweek at TEPCO’s offices in Japan, Klein said that TEPCO recognized that safety measures, and verification of safety measures, have to come from experts outside of TEPCO. This is a big deal since safety verification from someone outside Japan’s nuclear industry was previously not considered by any of the country’s nuclear utilities. Prior to Fukushima, what passed for a nuclear safety agency was housed inside METI, the industry and trade ministry, which compromised its ability to provide independent oversight of the nation’s reactors. Klein told Businessweek that his presence as an outside advisor isn’t intended to undercut the authority of the NRA. That said he feels that Units 6 & 7 at Kashiwazaki Kariwa could be cleared by the NRA for restart by the end of 2015. The four reactors owned and operated by Kansai Electric’s Takahama power station survived a court challenge from local residents. KANSI hopes to restart Takahama Units 3 & 4. Both reactors are PWRs completed in 1985. The court said, in rejecting the lawsuit, that while the NRA was conducting a safety assessment, there is no need to block those proceedings. What Kansai wants is a 20 year extension of the license for these two reactors. The company says now it hasn’t decided whether to seek a 20 year extension for Takahama Units 1 & 2 which were completed a year apart in 1974 and 1975. While utilities like Kansai worry about whether to seek to restart their reactors, the government’s Ministry of Economy, Trade, and Industry (METI) is trying to come up with a package of financial incentives to get Japan’s nuclear utilities to close down their older reactors, ones which are 40 years or older. A key idea it is airing for comment is to allow the utilities to write off the decommissioning costs against future tax bills in installments over time. Under current rules, the losses could be staggering since they would include the reactors, power turbines, spent fuel, and other assets. These write offs caused by premature shutdowns would show up as unmitigated financial disasters on the utilities’ balance sheets. A short list of seven older reactors are proposed for the financial incentives. So far the government and the utilities are still talking about how much support it will provide to shut down the units which are also smaller, and would be costly to upgrade to current safety standards.